My head exploded into confetti. Obviously Nexon is trying to advertise their new Breast Implant Coupon that will be coming out shortly, along side with the Gym Membership Card to build muscles on your character. Oprah can be the NPC in charge of the muscles/obese stuff. Her "coupon" will be called "Oprah's Book of the Month"... yessss. Is the turkey with the bump on it's head new? Or was it ever used before? I wouldnt mind one of those roboturkeys as a pet. People who don't own a "Nexon" folder with all calendars, images, leaf gears, desktop wallpapers and other things Nexon posted are lame. Also, there are some 2004 calendars, as well as the EMS\TMS\CMS\MSEA calendars. If you want I can just zip you all the folder. 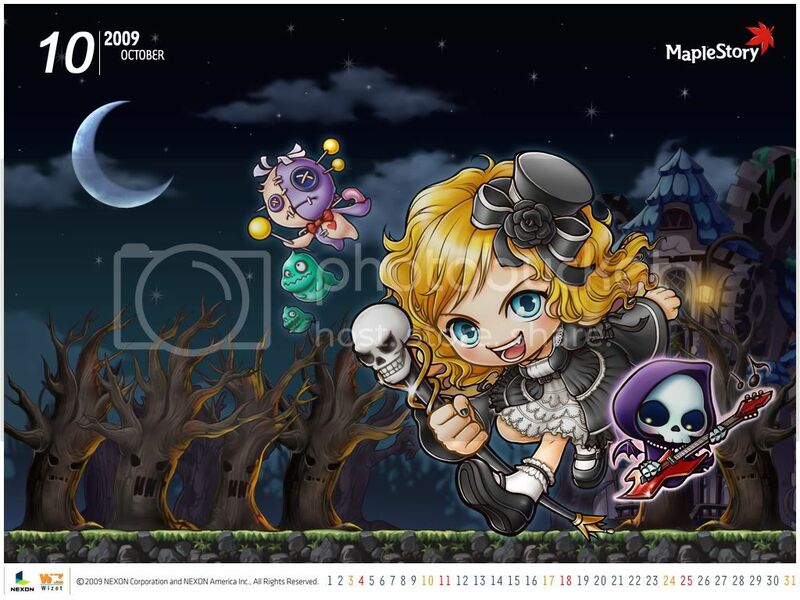 I didn't even know Nexon made calendars. Is there a Dec calendar wallpaper? Nexon has not posted it yet. Well to use a clich� "It�s Nexon." It will be a low priority for them as not many users will even use them or care. I mean someone in here didn�t even know they made them.